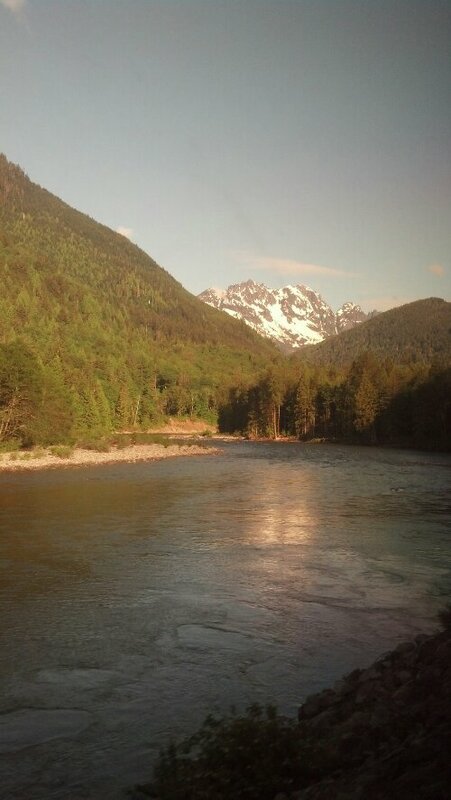 The Cascades greeted me outside of the train window as I awoke this morning. After taking a stretch break in Wenatchee, WA, I simply sat and gazed at the landscape I will soon be trekking over myself. Hunger for breakfast struck around 6:30 a.m., but knowing the inflated price of breakfast on the train, I decided to try to wait it out. It only lasted temporarily and at about 7:00 a.m. I succumbed to my stomach and headed to the dining car. I was seated next to Kim, a very nice lady on her way home to Everett, WA. We had a wonderful conversation as we enjoyed the delicious Amtrak breakfast. As our conversation came to a close and the plates were emptied, I proceeded to pay for my food but was beat to it by her as she insisted it was her contribution to my cause. I thanked her kindly. Those are the amazing people I want to highlight on this trip. I arrived at King Street Station in downtown Seattle about 15 minutes ahead of schedule. Within 45 minutes of arrival, my bike was ready and I was on my way to my friend Nati’s place. 8 miles from the station, I was greeted by the co-worker and friend I had seen only 2 weeks before back in MN. His family greeted me warmly. A nice shower, the first in two and a half days, not only helped me clean up, but revived me and started getting the blood flowing after the 37 hour train ride. After some Pizza Hut, a quick nap ensued. Ethiopian food is amazing, at least the stuff I had. Doro is a spicy, tasty dish that I enjoyed that had chicken, a cooked egg, and some cottage cheese to balance the spice. It really was great. I thoroughly enjoyed my time in Seattle today. This city is scenic, surrounded and filled with nature, and it even has many bicycle friendly roads! I wouldn’t mind living here someday, but tomorrow I will be on my way out. 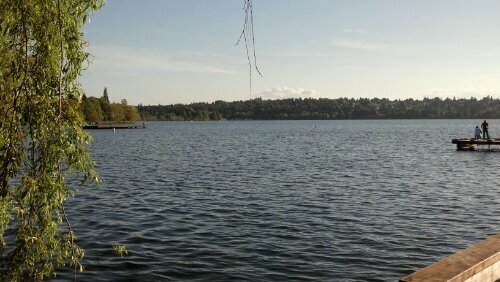 Seattle will be hard to beat!